Nexxtender is a global solution to the recharging of electric vehicles. Our charging stations and service applications dovetail with your environment. At home. At work. On the move. We make the best use of your available infrastructure and help you avoid the lights going out. Electrical fuel must be as green and cheap as possible so we provide load management to avoid congestions or cost hikes and integrate your local (renewable) electricity production in the charging process. We have a long term perspective: we provide you with a charging infrastructure that can develop with your needs and with cutting edge communication technology. 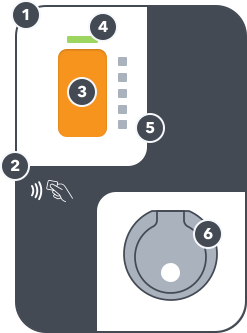 Both the software and hardware of the charging stations can be upgraded so new modules and processes can be added. Electromobility has many faces. We have designed our service platform to address the needs of different types of users. 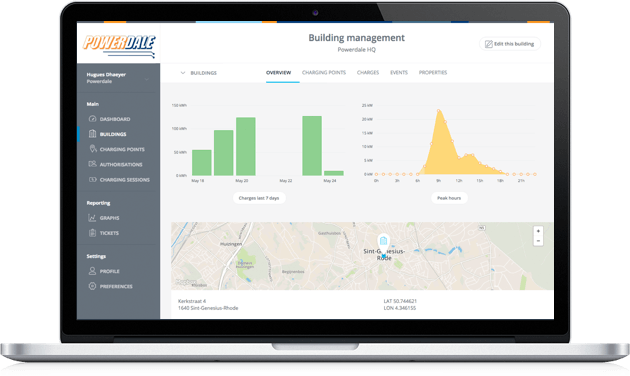 We help Infrastructure managers manage the charging load of their sites. We help Mobility Service Providers support the financial processes and the charging network for their fleet. As the penetration of electric vehicles increases, it is important to manage the recharging load. With our hardware and software solutions, we help you displace the charging peak while we continue to fulfil the users requirements in terms of time and range. Smart charging is about supporting scenarios that fit in your environment. 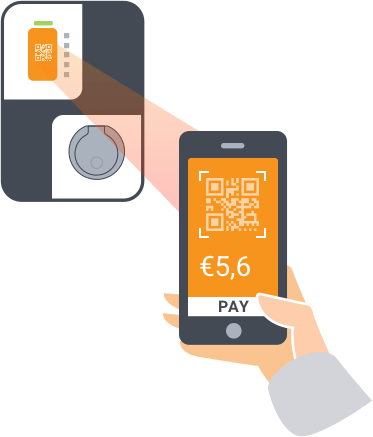 QR Code pay solution offers a payment method, based on Worldline's cross-channel payment solution WL Sips and the Bancontact-app. I am constantly on the move and needed a safe and efficient solution to charge my Tesla. Nexxtender is the right fit: Nexxtender Advance at home, Nexxtender mobile on the move. Range anxiety belongs to the past. I get a perfect overview of my charging activities in my dashboard. Avec le Nexxtender Mobile je charge où je veux. Grâce à l’interface client je peux savoir à tout moment ce que j’ai chargé, donc pas de risque de se fâcher avec mes amis ou ma famille: je peux à tout moment leur dire combien j’ai prélevé et le cas échéant les rembourser. Le tout m’a été livré déjà configuré, la seule chose à faire a été de l’utiliser. We recharge our Volvo hybrid buses with Nexxtender Advance for night charging and ABB fast chargers on the road. Our 25 drivers are satisfied with the ease of use of the Nexxtender chargers. The user interface is very intuitive. The process is safe and clear. Order one with your logo. Free connector: LED is blue. Charging : LED is green. Error : LED is red. Other settings are possible. Left : Connector 1 Right : Connector 2. Free connector : LED is blue. Charging : LED is green. Error : LED is red. Other settings are possible. EcoPuur is as energy contractor specialized in energy projects for private individuals and SME's. We envisage how to combine various energy solutions in order to realize optimal savings. Our global approach makes us the ideal partner for those wanting to deal with energy the sustainable way. Energy Management x Electrical Mobility = EM2. 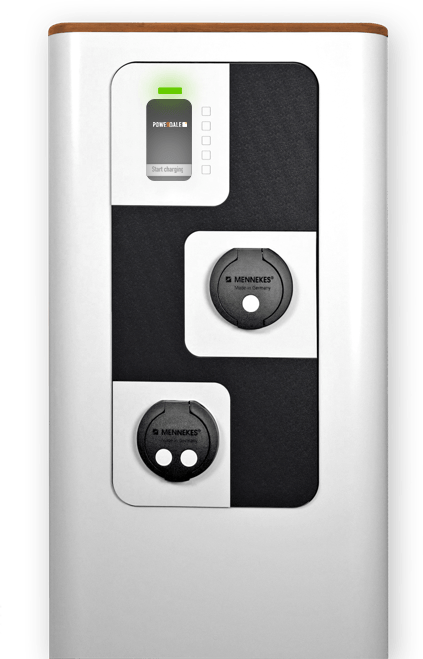 Nexxtender helps you to manage the total cost of EV Charging through the seamless integration of Hardware and Software. Our charging stations are built around a modular unit. The module can be integrated into a pole. A base unit can be upgraded to a communicating one. These options can be remotely activated and updated. How much electricity has been used by a fleet? What is the load profile of the fleet? Which charging locations are the most used? What are the costs and savings (money and CO2)? What is the utilisation rate of the charging stations on a site? What is the load profile of the site? What are the opportunities for peak shaving?